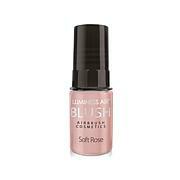 Spray on a beautifully smooth, natural-looking finish with the Luminess Air Airbrush Bronzer Highlighter. This .55 oz. liquid bronzer works in your Luminess Air Beauty Airbrush System (sold separately) and helps you highlight and contour facial areas like your cheekbones, forehead, chin and jawline. Ingredients: Purified Water Glycerin Potassium Olivoil PCA Stearic Acid Phenoxyethanol Triethanolamine Glyceryl Stearate PEG-100 Stearate Tocopheryl Acetate Ascorbyl Palmitate Butylene Glycol Potassium Sorbate Disodium EDTA Lecithin Kaolin o-Cymen-5-OL May Contain:Mica,Titanium Dioxide, Iron Oxides,D&C Red 30. 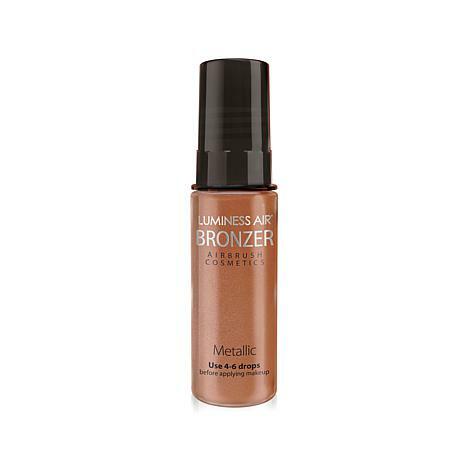 This Bronzer is amazing with or without your foundation. Good to use as a concealer for under your neck to get rid of the ole turkey neck in photos. If you want a little of a tan, now you can have an even tan look on your face. Still waiting and sent back the machine! 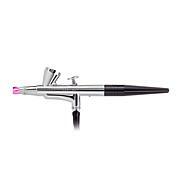 This item still has not arrived and I already sent back the Liminess machine, which brke on the second use. I guess I will just hope to get it before the 30 days runs out!